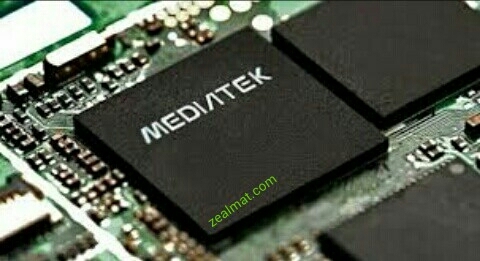 MediaTek is a pioneering fabless semiconductor company, and a market leader in cutting-edge systems-on-a-chip for wireless communications, HDTV, DVD and many more.. There is still no official confirmation, but all clues seem to point squarely to one conclusion - the Korean giant is planning to start buying chips from MediaTek. This is clearly a big step and potentially huge deal especially for the Chinese chip manufacturer, so it makes sense that we first heard rumors about it as far back as March last year. Fast forward to last week, when a MediaTek executive mentioned Samsung as a partner, without giving any extra details. Today, the plot thickens as Arthur Wang , Senior Director at MediaTek mentioned the two companies new-found relation yet again. During a launch event in Romania for the Allview P9 Energy, he gave an interview in which the question popped-up. To quote the response: "We can not provide information about products that have not yet been announced by our partners". This is hardly an unexpected development, but, referring to Samsung as a "partner" does say a lot. As for the deal itself and the motives behind it, we can merely speculate at this point. Most, however, agree that the new MediaTek chips are likely intended for the Korean giant's mid-range and low-end smartphone offers. Many of the latter currently rely on chipsets made by Spreadtrum - a much less known Chinese semiconductor company. In light of MediaTek's major advances in recent years, its silicon will arguably provide a lot more power to Samsung's future budget handsets. MediaTek technology might also find its way into the company's smart TV and Blu-ray player products as well, where features like 4K video decoding and support for 120HZ displays could really come in handy. As for the motivation, it is a bit harder to pinpoint. After Samsung opted not to use a Qualcomm chip in the Galaxy S6 flagship, many believed it was looking to lessen its dependency on the chip manufacturer. The idea of worsening relations was also tossed around, but since this year's Galaxy S7 lineup debunked most of these myths, we are now a lot more inclined to believe Samsung is trying to offload some of the strain of catering to the low-end and mid-range segments and refocus its own Exynos efforts to flagship territory. Really instructive and good bodily structure of articles, now that's user friendly (:. know my viewers would appreciate your work. Unquestionably imagine that that you said. Your favorite reason appeared to be on the web the simplest factor to bear in mind of. about. You controlled to hit the nail upon the top and also defined out the whole thing without having side effect , folks can take a signal. Will probably be back to get more. Thanks! This page really has all the information and facts I wanted about this subject and didn?t know who to ask. I would like to express my passion for your kindness giving support to individuals who actually need help on this important study. Ahaa, its good conversation on the topic of this post at this place at this website, I have read all that, so at this time me also commenting here.